What do Dunkin' Donuts, J. Crew, Toys "R" Us, and Burger King have in common? They are all currently or just recently were owned, operated, and controlled by private equity firms. 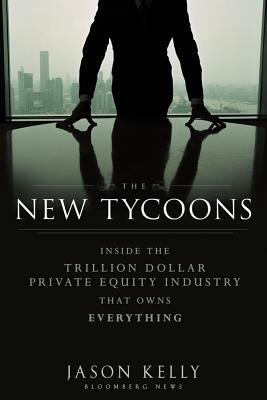 The New Tycoons: Inside the Trillion Dollar Private Equity Industry That Owns Everything takes the reader behind the scenes of these firms: their famous billionaire founders, the overlapping stories of their creation and evolution, and the outsized ambitions that led a group of clever bankers from small shops operating in a corner of Wall Street into powerhouse titans of capital. This is the story of the money and the men who handle it. Go inside the private worlds of founders Henry Kravis, Steve Schwarzman, David Bonderman, and more in The New Tycoons, and discover how these men have transformed the industry and built the some of the most powerful and most secretive houses of money in the world. Analyzing the founders and the firms at a crucial moment, when they've elevated themselves beyond their already lofty ambitions into the world of public opinion and valuation, New Tycoons looks at one of the most important, yet least examined, trillion-dollar corners of the global economy and what it portends for these new tycoons. JASON KELLY is a reporter with Bloomberg News based in New York. He covers the global private equity industry and is a frequent contributor to Bloomberg Television and Bloomberg Businessweek. During his ten years with Bloomberg, Kelly has also followed the technology industry and written about issues ranging from the aftermath of Hurricane Katrina to economic development during the war in Afghanistan. Prior to joining Bloomberg, he was the editor in chief of digitalsouth magazine, a publication focused on technology and finance in the Southeast and Texas.